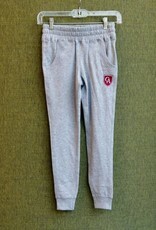 Super cute and comfortable joggers for young Vikings! Proudly display your Viking pride, while staying cozy warm in these super soft joggers. Available in youth sizes from Small (5/6) to Large(10/12).